Solidor composite doors will ensure you greet visitors to your home in style. They are robust and excel when it comes to providing thermal performance and keeping homes safe. Contact us for details. Choose a Solidor composite door if you want to create a stylish entrance that offers market-leading performance in equal measure. Our composite doors surpass industry recommendations to deliver thermally efficient homes. In addition to incredible U-values, you’ll also be able to enjoy secure locking systems that’ll protect you – and a range of custom options to refine your design. Fox Windows choose Solidor because of its strong industry reputation, its range of products and strong performance across the range of criteria that matters to our customers – comfort, light, aesthetics and security. Contact us for advice or a quote for your property in Kenilworth, Leamington Spa, Warwickshire and local areas. Keeping your home warm is important to you. You want a front door that will look stylish, while trapping heat inside and leaving draughts - well, out in the cold. 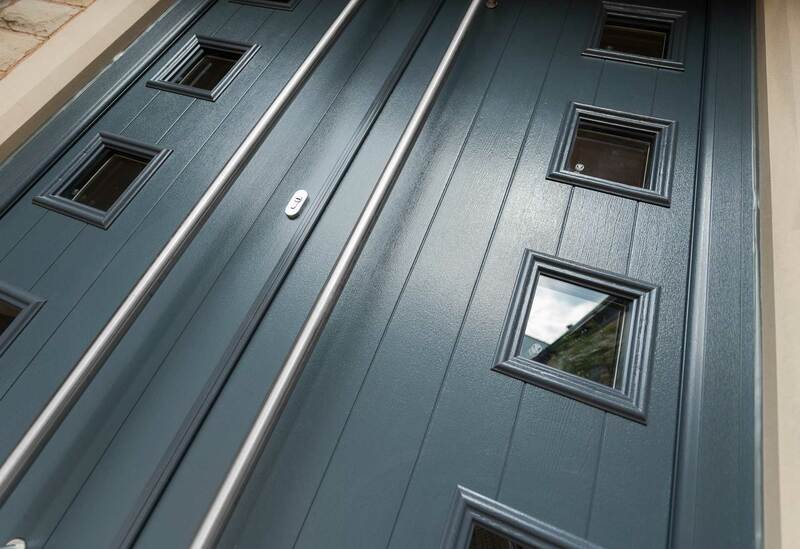 Our Solidor composite doors exceed 2018 Building Regulations relating to thermal efficiency, so you’ll be able to enjoy low U-values and lower running costs. Depending on your requirements, you may want your product built in a French or stable composite door style. Both these options will be available to you when you choose Fox Windows as your installer. Contact us to find out about the choices we can offer, or build your dream front door online using our design tool. When fine-tuning the appearance of your new composite door, you’ll be given the opportunity to choose matching side panels. These will be made available in two sizes: full and half height. Create a contrasting effect by using a different shade for the frame, which is bound to help your new installation stand out on your road. Fox Windows won’t ask you to compromise on any aspect of your design, We’ll show you our 20-strong colour portfolio, so that you can tailor the appearance of your front door to suit its surroundings. You’ll also be able to access an exclusive portfolio of door furniture to further enhance the appearance of your door. Composite doors expertly manufactured by Solidor - and carefully installed by the Fox Windows team - will keep your home and family safe from almost all attempts to gain access. Our residential doors meet PAS 24 requirements and come fitted with an Ultion Cylinder that’s break-, snap- and impact resistant. The composite doors we install are incredibly strong - and, just as importantly, much thicker than any any other product available on the market. A solid timber core is used to improve durability and make the door resistant to most impacts - whether they’re caused by people or environmental factors. Our composite doors provide high security and are priced competitively. Our customers in Kenilworth, Leamington Spa, Warwickshire and surrounding areas can benefit from secure replacement composite front doors. Get in touch with our knowledgeable team by phone or email to discuss your requirements. You can also use our online quote engine to get an online quote in minutes. Do You Need a French Door? What About a Flexible Stable Door? Our composite doors don’t have to be used as a front entrance. You can ask us to build yours in a French door style, which means your installation can function as a rear door – leading from your lounge into your garden, or via an extension. We’ll work closely with you, so that you can make a decision that best suits your plans. Stable composite doors are extremely versatile. The top and bottom sections can work independently – allowing to you to stop younger members of your household from going outside when you’re away. They also allow you to ventilate your room when half-opened and act as a further security deterrent for intruders. In addition to meeting PAS 24 requirements, our entrance doors meet Secured by Design criteria. This is a police-run scheme that tests and recommends products that meet an exceptionally high standard, You can buy your composite doors from Fox Windows, knowing they will offer you market-leading protection. Fox Windows installs composite doors throughout Kenilworth and Leamington Spa. We can fit your entrance door in any style you prefer and tailor its design, so that it suits the aims of your refurbishment or home improvement project completely. Contact us today for expert advice or to book an appointment with a qualified member of our team. Beautiful residential doors that can be customised to suit your precise design requirements. Call for a quote or build your door within minutes using our online pricing tool.